The Barnyard has a wide variety of sheds available at 2 convenient locations in Cockeysville MD & Gettysburg PA with delivery available throughout Baltimore City MD, Baltimore County, Harford County, Frederick County, Carroll County, Howard County, Anne Arundel County Maryland, York County PA and Adams County Pennsylvania. 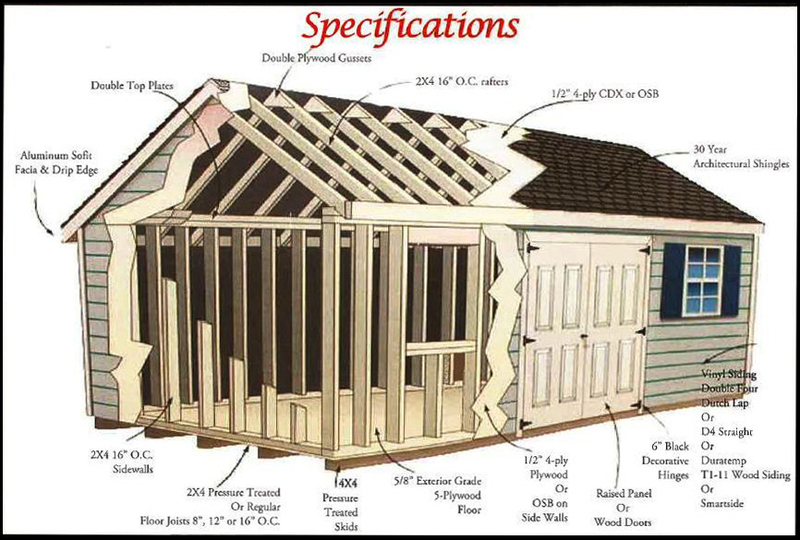 Our sheds are constructed with high quality materials and craftsmanship. You choose the style of shed, size, paint color, shingle color, trim color and options. Windows and doors and even be repositioned as needed. All styles of sheds are available including Dutch Barns, Swiss Gable Wood or Vinyl Sheds, A-Frames, Quaker Style, Mini Barns, New England Saltbox Sheds & More. Sheds and Barns can be ordered in a wide variety of sizes. The Barnyard will then arrange for delivery and placement of your shed to your home or business. All styles of sheds are available including Dutch Barns, Swiss Gable Wood or Vinyl Sheds, A-Frames, Quaker Style, Mini Barns, New England Saltbox Sheds.